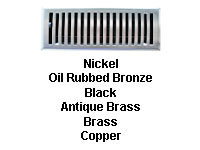 Your device is too small to view our website! 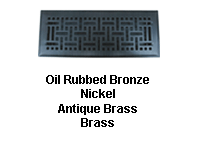 Please use a newer mobile device or desktop to shop our website. 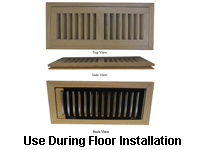 If you do not have access to one of these, you can contact us to place an order at 800-504-5989 M-F 8am-5pm CST, or sales@floorregisterresources.com. 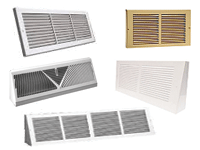 Welcome to Floor Register Resources: We are a distributor offering a wide variety of floor registers, return air grilles, and other air vents. 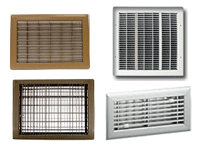 Select from many materials, designs, and colors of floor registers, return air grilles or air vents to best fit your space. 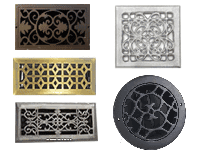 Find floor registers in many different styles. 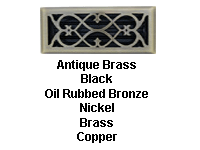 From basic designs to decorative Victorian, we have many styles to match your decor. 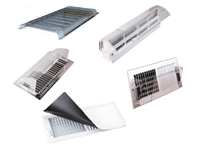 We have heavy duty floor return air grilles and registers in large hard to find sizes too. 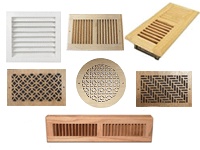 If you need wooden air vents, we have those too. 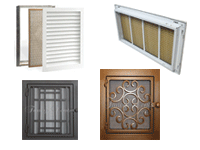 Everything from wood drop in and flush mount registers, to decorative wood return air grilles, available in a variety of different wood species. 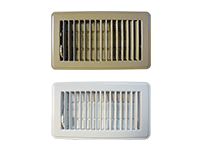 Find air vents in both pre-finished and unfinished options. 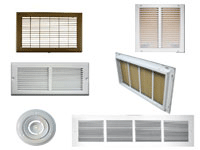 We also offer return air filter grilles, baseboard air vents, plastic floor registers, a diverse range of sidewall / ceiling registers, and more. 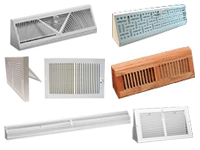 If you don't see what you're searching for, take a look at our comprehensive list of floor registers, and let us know if you can't find what you need. 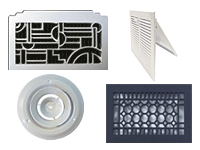 If you have any questions about our products, or are unsure of how to measure for your vents, please feel free to contact us. 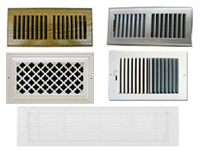 You can call us at 800-504-5989 during our regular business hours of Monday through Friday, 8 A.M. to 5 P.M. Central time, for live support. 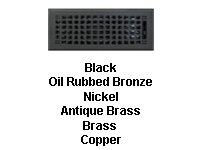 Customers outside of the United States may reach us at our local phone number 608-443-4064.